Working with a designer or architect may seem like a pricey move right out of the gate for someone wanting to remodel their bathroom on a budget, but it is money well spent. Having a plan you’ve worked out with a professional will assure you that your design, budget, and timeline are realistic, and it will give you a goal with a path to get there. Hiring a designer saves you time and money in the long run, so you don’t make expensive errors. Another reason to work with a designer on your bathroom renovation: Using the existing piping will save you big bucks. Relocating utilities like the toilet and the bathtub are no small task. Dress up that builder-grade mirror with a fantastic frame, and at a fraction of the price of sourcing a huge hanging mirror. A frame will also hide any age-related wear. Add a frame around the mirror to hide the flaking that can happen around the edges, and to give it a more updated look. Here’s some potty talk you won’t want to miss: When remodeling your bathroom, consider replacing your toilet seat and lid instead of tossing out the whole porcelain perch. Just changing out these two tops can give your toilet a fresh look without buying a new unit, which saves you plumber installation fees, too. Try boxing in the pipes if they are visible. You can find a large piece of salvaged barn wood to serve as a shower curtain valance. It looks like a pricey piece and serves as a focal point, but it is definitely a budget item. Salvaging can be intimidating, but if you start by checking out antique stores, flea markets, resellers, and auctions, you’ve already got the idea. You just have to go do it to really figure it out, and that’s how you score the really great items. You can also salvage and redo cast iron tubs, light fixtures, even sinks. Basically, anything that fits your style and you want to put the effort into saving and making it your own! Want to upgrade your tired vanity? Try hunting vintage and antique dressers at flea markets and antique stores. It’s not difficult to cut out the space to hide the plumbing and seal drawers that need to stay in place, and you can set a sink in it or on it. No one will have another one like yours, and you won’t have shelled out big bucks for a run-of-the-mill piece. The bath doesn’t have to have tile to the ceiling: consider alternatives like reclaimed wood panels, board, and batten, or beadboard as high-end looking tile replacements. Wood requires more maintenance but also gives off a much warmer, comforting vibe than tile. A bathroom is a private place, but open shelving can create the illusion of space in the smaller square footage and with a less weighty wallet hit than cabinets. A few drawers or covered baskets on high shelves can house your private items, and your colorful towels, pretty soaps and washes, and other bathroom décor don’t have to hide in a dark closet any longer! Builder-grade lighting is one of the first things many people want to change in a bathroom renovation, and with good cause: The fixtures rarely hold much aesthetic appeal. Adding lots of light to a bathroom is one of the most valuable changes a homeowner can make, and it doesn’t have to break the bank. Shop sales at lighting and home improvement stores, and if your bathroom has easy roof access, consider bringing the outdoors in with a budget skylight. Don’t underestimate the impact a pop of colorful paint can have in a small space. If you coordinate with a detail like your tile work, it can bring an entirely new dimension to your bathroom that you might never have noticed before. If your vanity is the main focal point of your bathroom, then choosing granite might not be such a splurge. It would give your bathroom a ‘wow’ and save a lot of money. When you find a tile you like, check Craigslist and eBay to see if anyone is selling their leftovers. People will buy more material than they need and they often can’t return it so they try to sell it online at a deep discount just to get rid of it. Buy what you can at the fire-sale prices, then finish out what you need by matching at your local store. 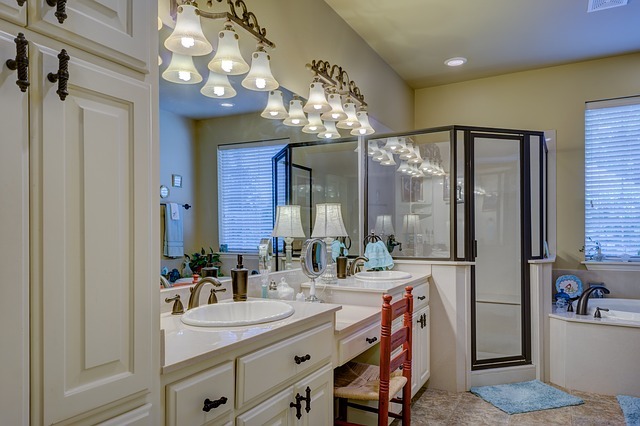 Remodel your bathroom for less! 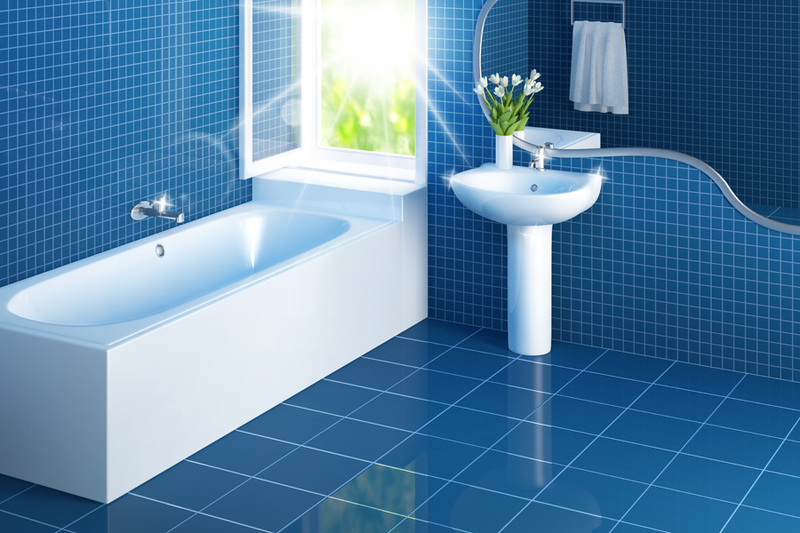 Increase your home’s value and appeal more to buyers by remodeling your bathroom. You Deserve it! 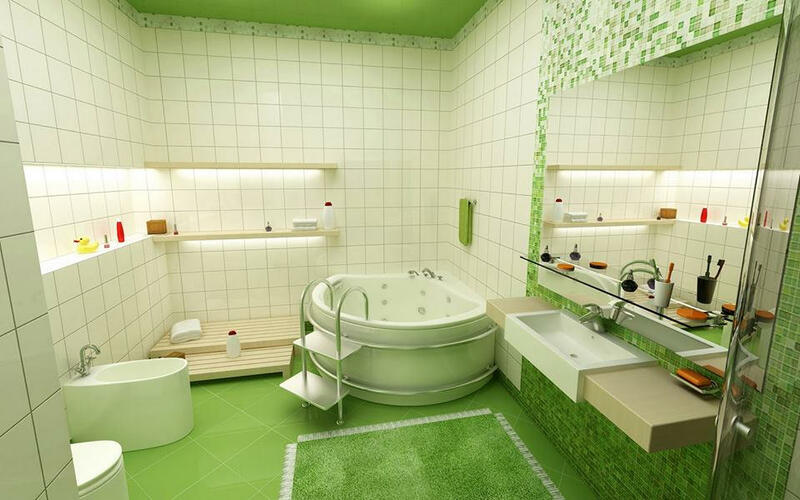 Get a Remodeled Bathroom, its cheaper then you think.